F. Wayne Hill isn’t the only place turning methane into power. DeKalb County’s Seminole Road Landfill sells methane-generated electricity to Georgia Power. At the F. Wayne Hill Water Resources Center in Gwinnett County, they’re squeezing out every last drop of usable energy in our, uh, digestive byproducts through the aptly named P.O.W.E.R. system—Processing Organic Waste for Energy Recovery—and using it to help keep the wastewater treatment plant running smoothly. The first step in sewage treatment is to separate the liquids and the solids, the latter of which ends up as sludge. 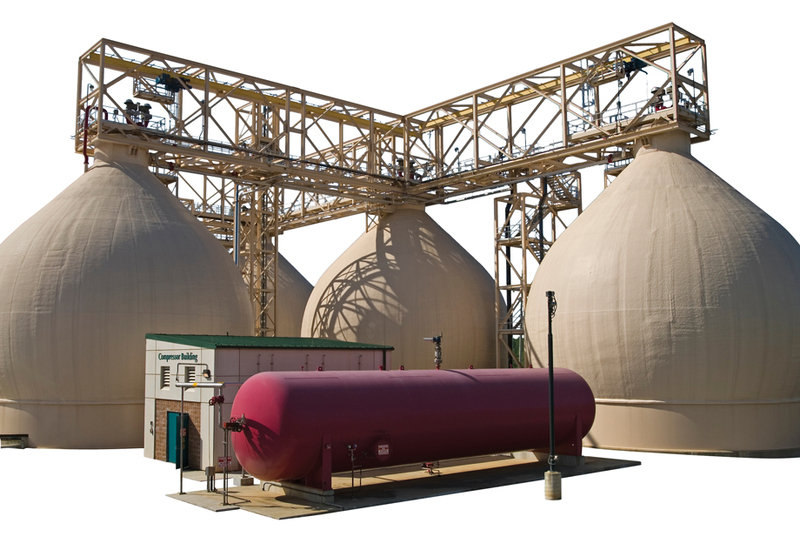 At other treatment facilities, the sludge would be sent to a landfill, but here in Gwinnett, it’s diverted to one of five onion-shaped digesters that rise about 40 feet above ground. These digesters are filled with bacteria, and the plant keeps them happy not just by feeding them the sludge, but also by keeping the temperature around 100 degrees—sort of like a large-scale version of the environment in your gut. The byproduct of happy bacteria is a gas that’s about 70 percent methane, which is cleaned up so that it’s free of corrosive components. The gas is then piped out and used to fuel a 2.1-megawatt on-site power generator, which last year produced about 15 percent of the plant’s total electricity needs.